One of the highlights of our US road trip was our three days spent eating our way around Austin, the quirky-cool capital of Texas. Here I’ve condensed that goodness into a 24-hour hit list, from food trucks to fine dining, honky tonk bars to killer whisky cocktails. Kickstart your morning at the Veracruz All Natural food truck (1704 E Cesar Chavez St), home to fruity aguas frescas and plump breakfast tacos loaded with scrambled egg, stretchy cheese, and not-so-all-natural sausage – one of my filthiest and favourite encounters with American fast food. 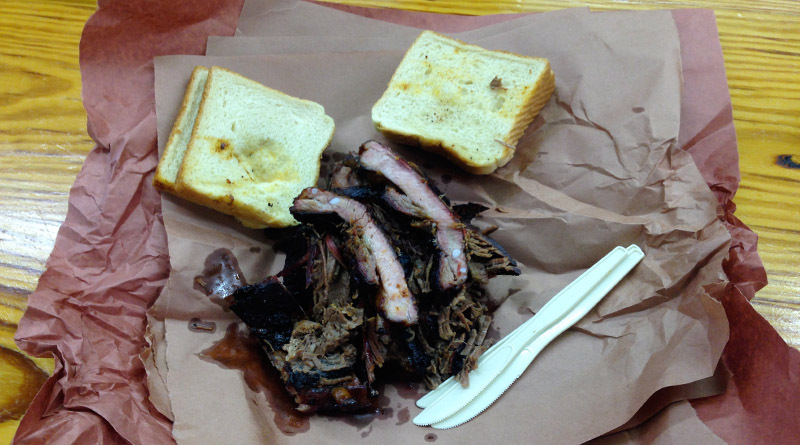 There’s no avoiding the lines to sample Austin’s best barbecue. At Franklin Barbecue (900 E 11th St), your two-hour wait will be rewarded with slabs of smoky brisket and juicy hot links. Further east at John Mueller Meat Co (2500 E. 6th St), tuck into slip-off-the-bone pork ribs with a side of pinto beans at this no-frills backyard eatery. 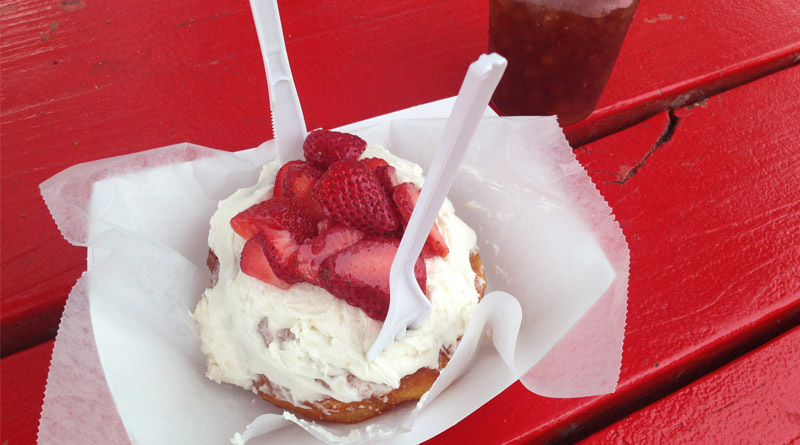 Housed in a shiny Airstream trailer, Gourdough’s (1503 S 1st St) cooked-to-order doughnuts run from the sublime Miss Shortcake (cream cheese and strawberries) to the ridiculous Mother Clucker (with honey butter and a side of fried chicken). Balance all of that heft with a quick spin around Whole Foods Market (525 N Lamar Blvd). Spread over 80,000 square feet, the iconic grocer’s flagship store brims with organic fruit and veg, artisan breads and cheese, and all manner of feel-good foods. For killer cocktails, slip into Peché, a sleek, Prohibition-style cocktail lounge specialising in absinthe, whisky and gin libations. 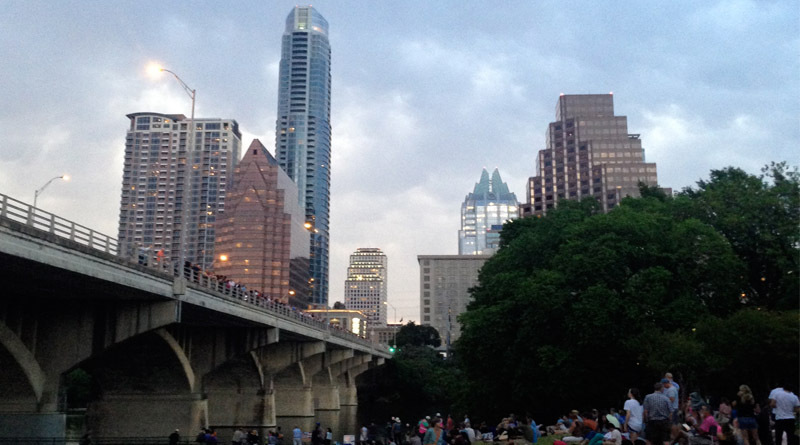 The jury’s still out on this odd Austin institution – and you may well want to stay put at Peché – but if seeing 1.5 million bats emerge from the Congress Avenue Bridge at sundown tickles your fancy, then be sure to find a spot on the lawn by 7pm. To be honest, I was petrified of being showered in bat wee the whole time, but it’s still worth a gander for the quirk factor. Austin’s most exciting restaurant is Qui, fronted by Paul Qui of Top Chef fame. His cutting-edge, vegetable-heavy menu offers inventive share plates with a multicultural bent, running from a vibrant ode to Michel Bras, to Filipino ceviche, and cheddar ice cream with stroopwafels. Nab a stool at the open kitchen bar to watch the tattoo-toting, checked-shirt chefs in action. Hot, hot, hot. This is America’s live music capital – and the Red River District is the heart of the action. Catch big-name acts at Stubb’s (801 Red River St), also home to damn-fine barbecue plates; swing dance and sip cocktails at East Side Showroom (1100 E 6th St); or take your pick of dirt-floored honky tonks along the strip. Bed down at the ever-elegant Driskill (driskillhotel.com), a historic hotel in the centre of town, or the San Jose Hotel (sanjosehotel.com), a hipster haunt on SoCo. While you’re in the neighbourhood, make a detour to Lockhart, a 30-minute drive south. You can smell this dusty town we before you arrive, the aroma of smoked meats lingering on the breeze. Your first stop must be Smitty’s (pictured), an old-school ‘cue joint where you almost step into the fire pit as you enter the warehouse. Brisket, ribs and hot links (peppery, fat-dribbling sausages) are cut to order, piled onto brown paper with a couple of slices of supermarket white bread. Hands down, this hot mess remains one of the best meals I’ve had. A version of this article first appeared in Delicious Magazine.